Snowflake is SUCH a lover! He is a bit hesitant at first, probably just because of his recent upheavals, but once he decides to come and meet you - he CANNOT resist how much he loves to be scratched! He purrs, he rubs, he nudges, he cuddles. 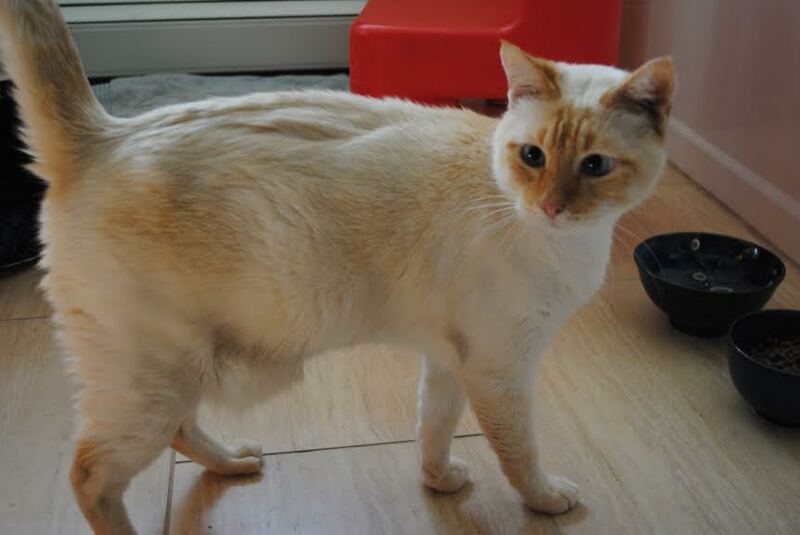 For some reason, he doesn't have much of a meow, he opens his mouth to meow, but just a little squeak comes out, so if you're looking for a quiet siamese (a rare thing), this is your boy! He is a total people cat and even loves the attention of my two young children. He wants to be loved and petted, but also loves to sit in the window and watch the world go by. He is such a handsome gentleman and will make someone very happy as their devoted pet. To meet him is to love him!